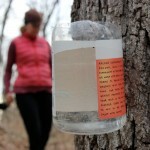 The first winter we lived in NE Missouri, I was treated to a beverage that I had never tasted before: tree sap. 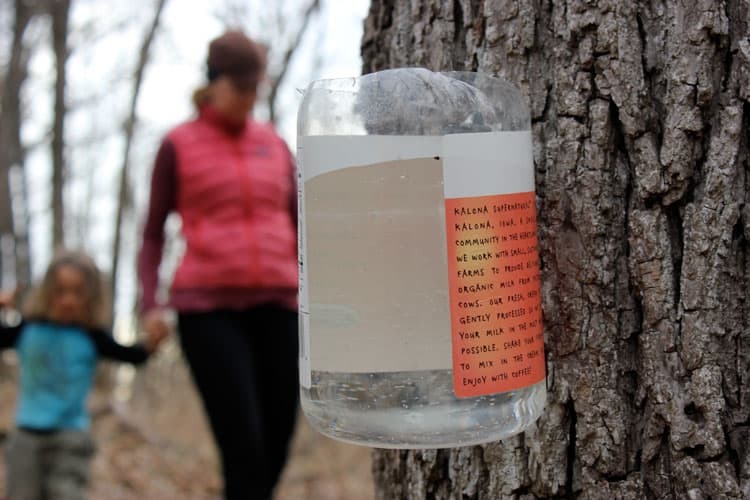 Our neighbors routinely tapped their black walnut trees, not to make black walnut syrup, but to drink the clear, slightly sweet tree sap as a spring tonic. 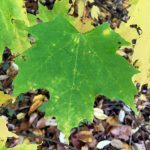 While maple sap may have the highest percentage of sugars, other trees such as birches and walnuts may also be tapped to collect sap. I find the black walnut sap to be only just slightly sweet, with a flavor that is unlike any other beverage I’ve tasted. Sap for drinking is collected exactly how you would collect sap for making syrup. 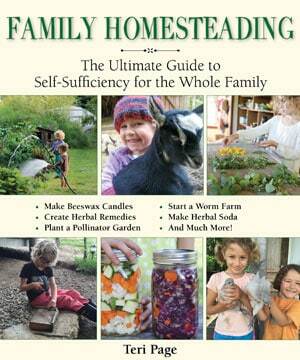 But because sap is not boiled down like syrup, extra care should be taken in how you collect and handle sap. Use a clean, sterilized tap and food grade bucket, and keep the sap cool until you drink it to avoid bacterial contamination. 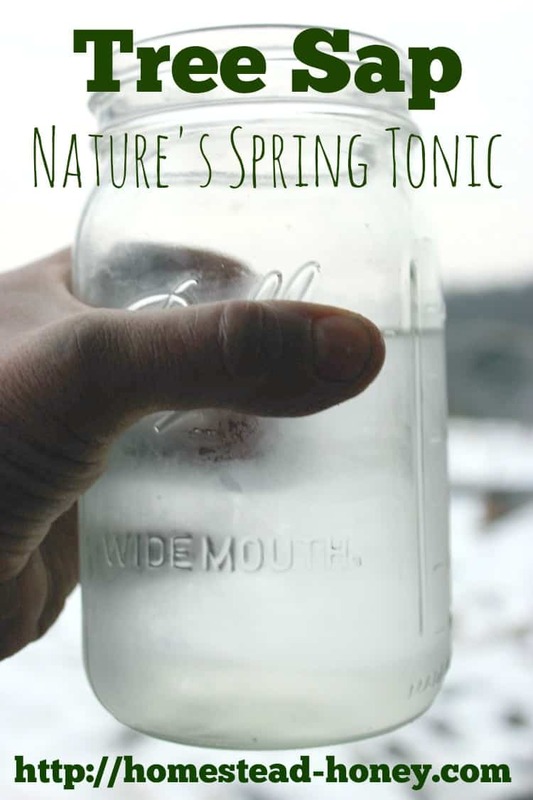 If you only have a few tappable trees in your yard, or you don’t have the time to invest in boiling down syrup, try collecting and drinking sap as a spring tonic. And let me know how you like it! I’ve not tried drinking black walnut sap, yet, but you’ve convinced me to try it. We have only one black walnut tree that yields worthless nuts, but maybe the sap is redeemable. i’ll let you know…. It is a very unique flavor. I hope you like it! I wish we could tap maples here in south Georgia. How lovely it would be! 🙂 Dandelions will soon be ready to give forth their own Spring tonic. Ah yes, the trade off of living in a warm place! But dandelions will be such a wonderful welcome to spring! I wish this post was 6+ years in the future, that’s when we will be debt free, and when we are starting to build our home. 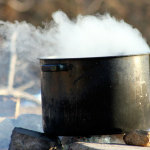 I will have to try out drinking sap, I plan on attempting syrup eventually! Let me know how you like it! 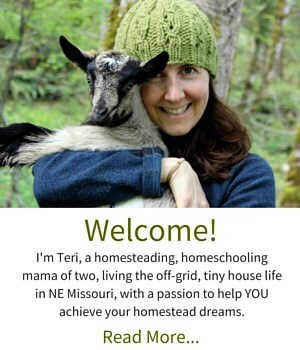 And that is great that you have such a solid plan to get out of debt and build a home! I saved your link last year and this week is my first time trying out the sap from a boxelder tree on our property. Tastes like water with a slight woodsy, sweet flavor. I’ve collected almost a quart each day from one tapping and it’s surprising how my body craves it! It seems to satisfy my thirst even better than water from a deep well. Oh, that’s so great! I’m glad you were able to give it a try! 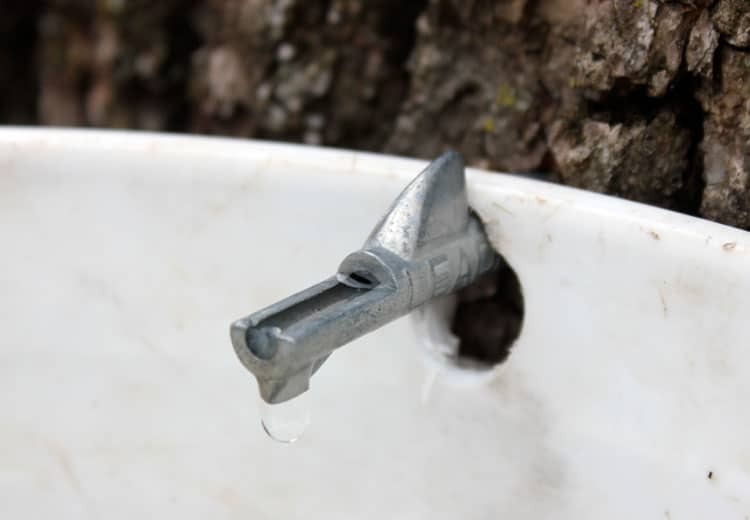 And, really, the sap is like water from a deep well, as it draws up minerals through the tree’s roots. So delicious! Tolkien could have been thinking of spring sap when he described the Ent-draught. The invigorating properties, the elusive taste, the feeling of growing -! 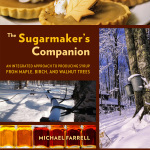 We use maple sap to make tea (Earl Grey is our favourite) and to reconstitute frozen juice. Best frozen orange juice ever. 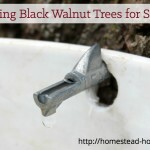 I will definitely try black walnut sap. The nuts from our trees are not palatable, and all we’ve ever used them for is (when old and culled) some pretty amazing furniture. That will surprise someone in 80 years finding drilling scars in their precious walnut wood, oops.